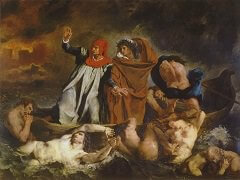 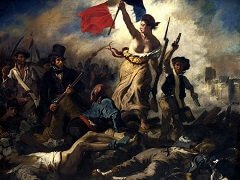 Delacroix's Romanticism is virtually the opposite of German artists' interpretation of the style. 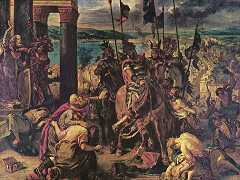 But his interest in depicting animals - the lions in the grip of death's fury, the spirited horses, alongside which the humans seem like frozen statues - connects him with the prose of German Romantic writers, in which the theme of the human in the beast and the bestial in the human plays a substantial role. 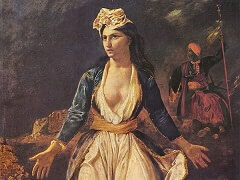 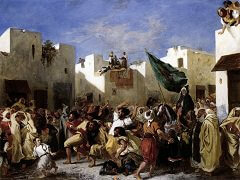 Delacroix took the subject for this painting from his recollections of a journey he made through Algeria and Morocco in 1832. 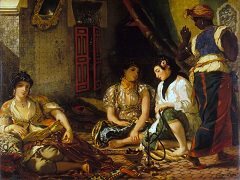 The artist's works on Oriental themes are characterised by a synthesis of documentary realism and Romantic mood . 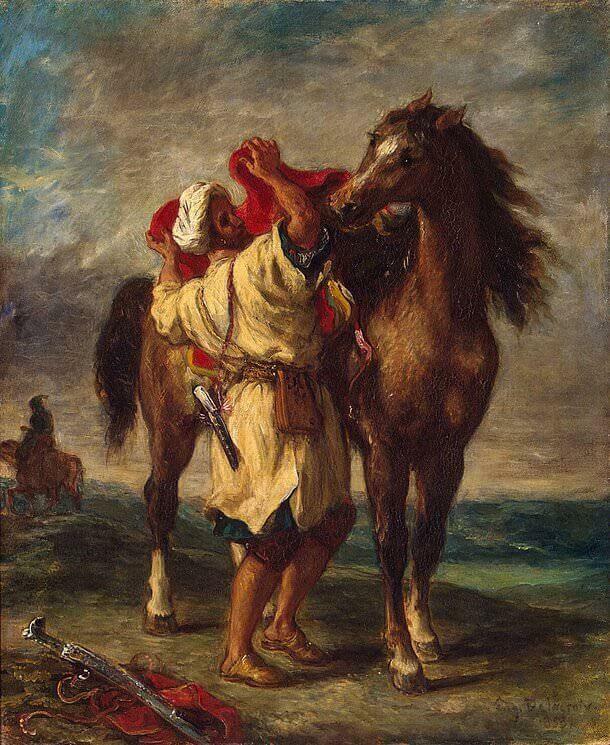 This work is a good example of such an approach, in which an everyday action is treated such as to create a sense of disturbance, of something unnatural: the wild, desert landscape, the dark sky with its threatening clouds, the sword in the front plane, the hurried movements of the Moroccan and the highly strung pose of the horse all contribute to reinforce the effect.